It was discussed today that we speculate to pick up bottom /top of market on failure pay for it in the form of SL but if succeed we get good returns . or at blogspot http:// dhanvarshagrp.blogspot.in/ nifty traded at 61.10 and after 2 minutes of call low was 62.35 . We will exit at gain or not depend on luck if we will mix emotions / speculation or assumptions with our analysis. We will mix emotions when we will try to pick up top/ bottom of market,which is not possible practically but to get success in that we will have to book many losses and after a series of 2 to 3 stop loss hitting we may enter either at top or at bottom for a big / bumper gain . do u imagine or try to find it out how it was predicted ?? Almost flat opening is expected with possibility of choppy session ahead , as nifty is trading at crucial level. Falling trend line and 20 week moving average will try to pull it towards south but speculators will try to hold it above these levels ahead of RBI credit policy due on 03 May . As the RBI gets ready to unveil its monetary policy for fiscal year 2013-14, the expectations are huge as it comes in the backdrop of a sharp correction in gold and oil prices, the two biggest contributors to India’s Current account deficit (CAD). 5870 at spot is fib retracement level, if spot will move below 5870 then bears will take control and Nifty will slip to 5820 30 level . 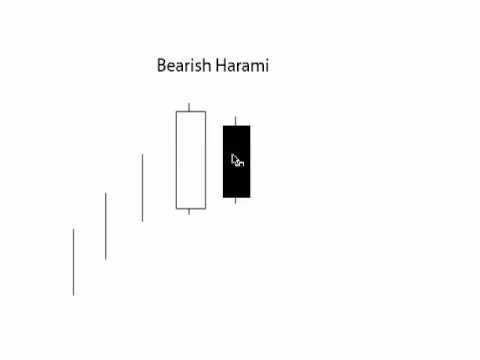 Bearish harami candle was spotted at last eod chart . First of all watch the market and try to find out its trend , is it bullish bearish or neutral/ range bound or choppy . Check volatility if it is there or not . If trading in range find out its top and bottom and if range will break will it move up or down. If in range bound market , you feel for possible breakout then buy at lows and place your profit booking orders near or below top of range with strict stop loss below your buy level. Incase you are predicting for break down always go short with sl with profit booking order at bottom of range once exit place sell order again at top of range. If you are seeing an established trend then never place profit booking order just enter in trade and trail by stop loss order …Chart is showing that reliance capital was trading in range 336 – 340 till 2 PM . after 2 PM break out was seen and moved all the way from 336 to 356 .. the chart is best example both range bound and trend trading during intra session. You can add your ideas for benefit of others , either at chat room or comment here …do not hesitate …come up and grow with Dhanvarsha . Traders / analysts are advised to share views / prediction either at dhanvarsha chat room or at comment . when ever trend reverses volatility increases …huge volatility was noticed in last three sessions , nifty traded in range of 100 points , last three sessions eod candles ended making bullish harami and hammers looking like tristar . If reversal will confirmed nifty may fly to 5597 5650 5750 in one go …. eod hammer /spinning bottom spotted . above it bulls will dominate and bears below it. 5435 5325 and 4900 may be seen on breaching of it ..
if moved below 5750 then 5600 will there ..
5870 is crucial fib level upside 5977 and downside move 5795 5720 5623…. at eod nifty chart every alternate candle is giving signals of reversal …last session ended making bearish harami and RSi moved above 71 so profit booking possibility will be there .below 5870 be ready to watch 5623 if sustained above 5870 nifty may move to 5977 or above it . possible weekly range 5600>< 5900 or 5830 >< 6100 pivot is 5850-5870 spot . 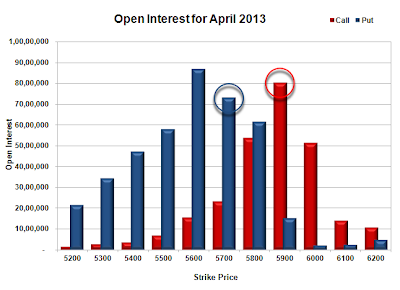 kailash123p@yahoo.co.in (4/26/2013 12:33:49 PM): can we see Fry day effect in market today ? will niffty close below 20 WMA ? see pe5900 move at chart advised to buy at 12 traded above 35 . Flat to positive opening is expected with extremely volatile session ahead .EOD chart is indicating that all indicators are supporting bulls here but question is will falling trend line and 20 wma will try to pull nifty back ? and that possibility in todays scene wont be ruled out because market players have planned for May expiry and they will work on it for today too . Intraday chart is showing that how bulls came in action at 3 PM .Nifty was falling and going into bears grip then quick and collective last 30 minutes action of bulls moved Nifty up and settled at 5916 well above 20 wma and falling trend line . Do not trade without stop loss . To learn online positive trading , chart reading , trend , futures ,options and commodities Join Dhanvarsha . Gap up opening is expected with extremely volatile session ahead .Trade in Nifty futures May contracts as per these levels . expecting extremely volatile session ahead so be alert and book gains or lock your profits by placing trailing stoploss orders … Do not over trade and start your journey if you don’t know the destination . Join hands with Dhanvarsha to learn how to control emotions , how to do positive trading and how to read live charts…it is best for retired persons , housewives , students , professionals , business men and every one who is having access to internet . You can test your skills . Trading is quite easy even a non matriculate trader can predict market , read live charts and earn daily while doing intraday trades . 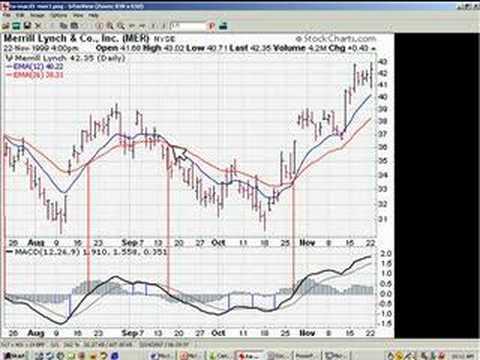 Divergence – When the security price diverges from the MACD. It signals the end of the current trend. pandu: sir any good news for tomorrow? Hanging man spotted below top of falling trend line and 20 WMA. Hanging man candle spotted at top of falling trend line and at upper bollinger… indication of trend reversal but confirmation must be there … if profit booking will not take place it may pause here or uptrend will continue . The Bearish Hanging Man Pattern is a single candlestick and a top reversal pattern. It is very similar to the Bearish Dragonfly Doji Pattern. In case of the Bearish Dragonfly Doji Pattern, the opening and closing prices are identical whereas the Bearish Hanging Man Pattern has a small real body. 1. We see it at a market top or during an uptrend. 2. 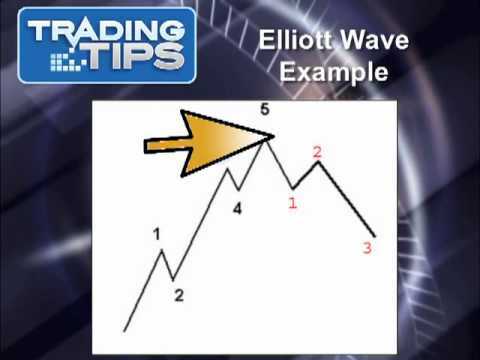 It is characterized by its small real body at the upper end of the trading range and it is located above the trend. The color of the body is unimportant. 3. It has a lower shadow, which is at least twice the height of the real body. 4. There is either no upper shadow or a very short upper shadow. 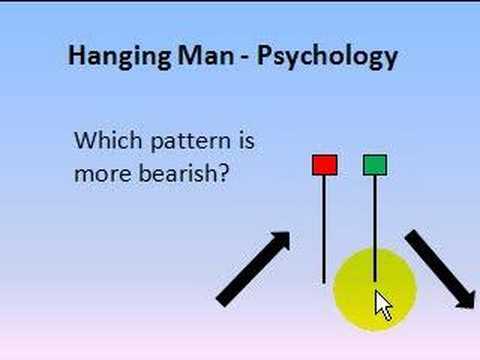 The hanging man is a bearish reversal pattern. It signals a market top or a resistance level. Since it is seen after an advance, a Bearish Hanging Man Pattern signals that selling pressure is starting to increase. The low of the long lower shadow indicates that the sellers pushed prices lower during the session. Even though the bulls regained their footing and drove prices higher by the finish, the appearance of this selling pressure after a rally is a serious warning signal. Ideally; the lower shadow of the Bearish Hanging Man Pattern must be two or three times the height of the real body. However, a long lower shadow may not have to be twice the height of the real body in the real life conditions in order to signal a reversal. The pattern is more perfect if the lower shadow is longer. The Bearish Dragonfly Doji Pattern is a more bearish signal than the Bearish Hanging Man Pattern and it is also more reliable than the Bearish Hanging Man Pattern. If a Bearish Hanging Man Pattern is characterized by a black real body, it shows that the close was not able to get back to the opening price level, which has potentially bearish implications. We need a confirmation of the reversal on the next day for a more definite proof about the reversal of the uptrend. This confirmation may be in the form of a black candlestick, a large gap down or a lower close on the next trading day. Nifty level is Crucial here at 5840 as trading just below 20 week simple moving average and it will try to resist up move. If price will breach it next immediate stop is visible at 6150.
kailash123p@yahoo.co.in (4/23/2013 10:42:19 PM): have u gained in crude ? admin: place AMO SELL order for May nifty at 5858 sl 5871 tgt 5832 5812 see call was at chat room at 9.02 AM just right side …. you too can stay logged in throughout the day . Nifty is still trading below 20 WMA on weekly chart.if moved above it it will free fly below open sky but will it be able to cross it ? Tomorrow will be holiday and next day will be expiry so start rolling over or closing your April positions . Flat to positive opening is expected with extremely volatile session ahead …Daily chart is showing that Nifty is trading above all moving averages 20,50 and 200 , all indicators are supporting up move but trading at the top of falling trend line …breaching of it will open new range and higher targets …on failure it will turn its direction .. Yesterday nifty and bank nifty calls worked well including relcapital . chat room calls Nifty short ..Intraday nifty chart is showing that Nifty made ABC chart pattern which shows confution was there …will it continue for today also ??? Natural gas call gained Rs 4000/- or more per traded lot call shared in real time at chat room Dhanvarsha also ..
Trade according to levels and trend with stop loss order ,do not mix emotions. centurytex is looking attractive at this level ..started up move after falling from 450 level trading at 299 . 30 minute chart was giving profit booking signals at 5710 30 level ..rsi was falling ,macd signal line cross over was there and double top was there including 5th wave of elliot was under progress . 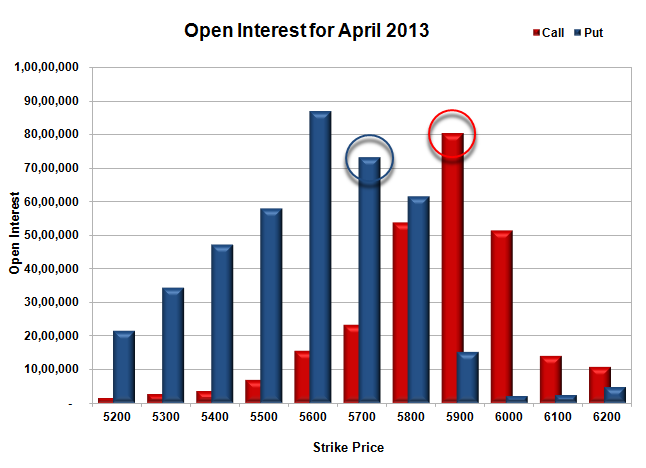 but short covering and stoploss triggering moved nifty to 5783 . 1419200 shares were covered during short covering on thursday up move. They all are ready create new short if nifty will move up..
weekly chart is showing that 5913 is fib level 20 week moving average is at 5851 and nifty is trading below centre bollinger above 50 week moving average. if no move then possible range 5730 -5840..
kailash123p@yahoo.co.in (4/18/2013 3:08:57 PM): accumulate 5800 pe at 40 41 sl 32 . Vix is resting at 50 day moving average and nifty too trading at 50 day moving average ..we will have to find out possibilities that will nifty sustain above 50 DMA and trade above it or will come down ? Horizontal channel top is at 5784 …nifty spot is trading there …will Nifty breach that channel ? Falling trend line is passing through 5809 ..will nifty breach that trend line easily ? if answer is yes then nifty will trade for 5870 5969 levels next week . Flat to negative opening is expected as red spinning top candle spotted at last eod chart it shows indecision so advised to go for stbt yesterday . It is advised to book gains at 5665 75 level at open, you may place after market booking orders at this level if you are holding short position in nifty STBT.Nifty is resting at 200 and 20 day moving average firm support so not very easy to break without any bad news inflow but bounce is possible and if bounced from 200 dma it will reach to 5767 at spot near 50 dma or above it . Profit booking at higher levels can not be ruled out due to last trading day of the week … tomorrow we will celebrate Ramnavmi . Huge writing and highest OI build up (1.02 Cr ) at 5600 level is indicating that nifty must sustain above 5600 for this series.